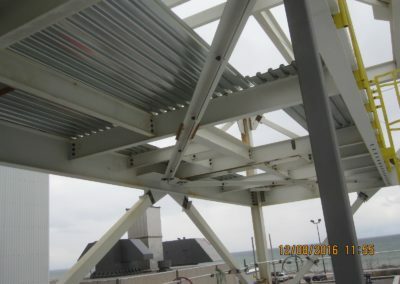 NA Engineering Associates Inc. implemented a state-of-the-art-software solution for the structural steel connection design assignment at the Heavy Water Management Building at Ontario Power Generation’s Darlington site. Our team employed SDS/2, an advanced modelling software that undertakes connection calculations and produces connection detail drawings. Three of our dedicated design team members traveled to Nebraska for a week-long training session with the software developer. 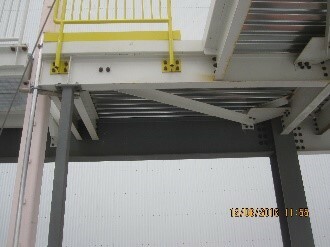 The quality assurance requirements for the overall project mandated that the usual design model (connection design undertaken by steel fabricator) could not be used. Our firm was retained to provide this service given our advanced QA standing with our nuclear clients. This project is a prime example of our commitment to our clients and their needs. Throughout work, we were able to meet deadlines with accurate calculations and drawings. Throughout the project, we coordinated closely with the fabricator to avoid producing designs outside of their shop capabilities. We also worked closely with the Designer of Record to identify any potential schedule risks resulting from connection design / fabrication perspective and provided alternative designs to speed the fabrication process. Following our successful efforts supporting the structural design assessment, we were hired to undertake both steel and concrete inspections during construction.